Liquid is a cryptocurrency exchange based in Tokyo, Japan. Liquid was founded in 2018 by Quoine, the product of a merger between Quoinex and Qryptos, two crypto trading platforms created by Quoine. In September 2017, Quoine became licensed by the Financial Services Agency of Japan, making Quoinex and Qryptos two of the first exchanges to be granted such a license. In October 2017, it launched an ICO, which was called the "Qash Token Sale," raising $350 million. Quoinex and Qryptos merged in September 2018 to form the Liquid trading platform. From July 2018 to April 2019, trades on this platform exceeded $50 billion in transaction volume, according to a press release put out on April 2, 2019. In the same press release, Liquid announced the launch of Liquid Infinity. 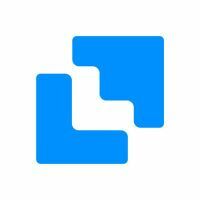 The next day, Liquid put out another press release announcing the close of its Series C funding, which pushed its valuation to over $1 billion. The round was led by IDG Capital, with major investments from Bitmain. Previous investors included Coinbase, and Ripple. The Liquid exchange allows customers to trade bitcoin, Ether, Bitcoin Cash, and XRP with up to 100x leverage. The exchange also allows customers to purchase these digital assets with credit cards or on margin on the exchange with up to 25x leverage. On April 2, 2019, Liquid put out a press release saying that it had launched a bitcoin-leveraged CFD product called Liquid Infinity. This product is available to all Liquid customers, except for Japanese residents. Liquid lets traders lend out digital assets they own to margin traders, allowing them to earn cryptocurrency or fiat currency through interest, which is generated as long as the trades to which these assets are tied remain open. Once they are closed, the loaned assets are returned to the owner. Interest rates are set by the owner of the loaned assets. The asset owner can also set the assets they want to loan to "Auto Re-Loan," causing them to automatically be re-loaned once they are returned to the asset owner. Liquid collects 50% of the interest earned from these loans. Liquid has a dApp called "thx!" The app allows users to exchange a "thank you!" (or "thx" for short) digital token with a mobile device. The intent of this service is to give customers the ability to thank each other with a digital token that can be exchanged for goods and services. These transactions are recorded on Liquid's blockchain. This app launched the beta stage of development on April 1, 2019 and is scheduled to launch in October 2019. ↑ Crypto exchange Liquid claims unicorn status after Series C fundraiser. The Block. ↑ Liquid.com Launches Leveraged Bitcoin CFDs. PR Newswire. ↑ Liquid.com announces first close of ongoing Series C funding, hits tech unicorn status. PR Newswire. ↑ We believe in a world with financial inclusion for all. Liquid. ↑ Get Started with Liquid Lending. Liquid. This page was last edited on 3 April 2019, at 17:08.